Home AAdvantage Buy Up to 270,000 American Airlines Miles. Good Deal? Buy Up to 270,000 American Airlines Miles. Good Deal? American Airlines and US Airways are both running sales on the purchase of their miles through January 30, 2015. This is right on the heels of their last sale ending, so these sales are becoming more common, and unfortunately pricier than before. For now, your American Airlines miles and US Airways miles will sit in separate accounts, and you can redeem them on separate charts, with different routing rules, and slightly different partners. Some time between April and June 2015, your US Airways and American Airlines miles will be combined into your American Airlines account, and the American Airlines chart, partners, and rules will control. That means the chance to buy both kinds of miles at a discount could be a way to eventually have one huge American Airlines balance. Similar reasoning has led me to recommend getting the American Airlines and US Airways credit cards before the US Airways program disappears. Right now the Citi® / AAdvantage® Platinum Select® MasterCard® is offering 50,000 bonus miles after spending $3,000 in the first three months. The card also comes with other awesome benefits like a 10% rebate on miles used for award bookings. We know that the US Airways® Premier World MasterCard® will no longer be offered to new applicants as soon as the US Airways and American Airlines frequent flyer programs integrate. That means that the chance to earn 40,000 bonus miles after first purchase will disappear soon. Check out all the places you can go with just the sign up bonus. From the credit cards, you could have 103,000 American Airlines miles in a few months. From the mileage sales, you could add another 270,000 miles. But is buying the 270k miles a good deal? How expensive are the US Airways miles? How expensive are the American Airlines miles? How long do the sales last? Both sales are identical and offer up to 35,000 bonus miles when you buy up to 100,000 miles. Both sales end January 30, 2015. Buying 70,000 miles with a 35,000 mile bonus (105,000 total miles) offers the best deal. The price of $2,250 for 105,000 miles works out to 2.14 cents per mile. That’s slightly worse than the 2.06 cents you could achieve in the past sale, the 1.88 cents you could consistently pay for US Airways miles last year, and the 1.13 cents you could pay for US Airways miles once a year for the past few years. I value US Airways miles and American Airlines miles around 1.9 cents each, so there is no way I would buy these miles speculatively for 2.14 cents. The only way it could possibly make sense to buy miles at these prices is if you had an immediate high value use for them. You can buy 270,000 American Airlines and US Airways miles that will combine into your American Airlines account next year. The cheapest price is buying 105,000 of each type (210,000 total) for $4,499 or 2.14 cents each. That’s way too high to buy speculatively. Hopefully cheaper sales come along. 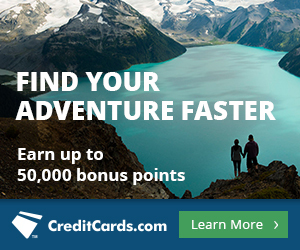 The US Airways miles sales are processed by points.com, so you won’t get bonus points from any of your cards with category bonuses for purchasing US Airways miles. The American Airlines miles sales are now processed by American Airlines itself, so you can get category bonuses on cards that bonus airline or travel purchases, or you can use your Arrival Plus to get American Airlines miles for zero cash. In the meantime, we can pick up 103,000 American Airlines and US Airways miles from the big bonuses on their credit cards. You got it wrong about AA miles being processed by points.com. American Airlines processes their points on their own now and it counts as airline spending on credit cards. I’m curious. I also wouldn’t run out to buy miles unless I absolutely needed them. I did this last year to top up the points I needed (about 20k) to make my Honeymoon an all business class affair. But I do most of my travelling for business, which makes it all deductible and thus reduces my taxable income. If I were to buy AA points for business travel and write it off, would that perhaps bring them below 2c in value and make it a worthwhile purchase? If you’re doing this with pre-tax money, that definitely changes the calculation. But remember that the other option–just buying tickets–is pre-tax money also. The only problem is that Citi won’t give you the Welcome Bonus if you already have the Visa and/or Amex cards, which I have both. 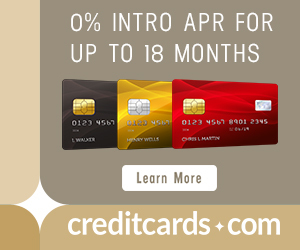 And, Barclay’s has been cracking down on 2nd US Airways Mastercards. I’m watching the number of my inquires, so, I’ll pass on this, and go for a couple of SWA cards,instead! As long as your last AA personal app was 18-26+ months ago, you can get a new AA personal. Sorry for the inexact figure, but some people are luckier than others. Barclaycard reps are cracking down on getting a second US Airways card, but the online system is still giving out instant approvals. Couple days ago, I received an email offering additional 15k miles each in Feb, March and April after $750 in monthly spending on the U.S. Airways card. What if you just opened a AAdvantage card with 50,000 bonus after spending $2000 and use it to buy 70,000 miles (+35,000 bonus)? You would’ve bought 157000+ miles with $2000+. In my head I think this makes the purchase worth it, but I want to hear other people’s opinion. Don’t consider the two together. Consider them separately. Is getting the card a good deal with the big bonus? Obviously yes. Is buying miles a good deal? Probably not unless you have an immediate high-value use.